One year after Gangster No. 1 this other Film 4 (Channel 4) movie, staring American actress Andie MacDowell, also involved Neil Hannon in the soundtracks. 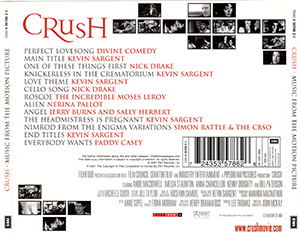 Although this time there wasn’t a special soundtrack recorded for the movie, but just a compilation of hits produced by EMI Records. The soundtrack saw a CD release in late 2001, and therefore included the third single from Regeneration, ‘Perfect Lovesong’.